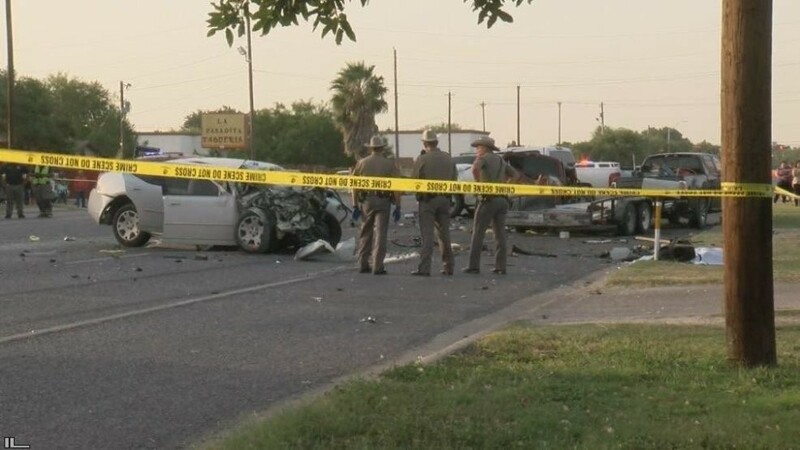 A terrible tragedy befell three people, including a child, in Donna as a result of a four-vehicle crash Friday afternoon. Around 7 p.m. on Friday, July 27th, a four-vehicle accident occurred at the intersection of Salinas Boulevard and Mile 9 ½ in Donna. Authorities say that at least eight people were involved in the multi-car accident, and of those eight, three people, a child among them, lost their lives. The accident is still under investigation by local authorities. What Causes Multiple Vehicle Collisions? Pile-Ups – Pile-ups tend to occur in high traffic areas with low visibility. When drivers begin to follow each other too closely, the likelihood of an accident occurring increases even further. Chain-Reaction Crashes – This generally occurs because of hazardous weather and road conditions. For instance, heavy rain can easily lead to dangerous road conditions where drivers can lose control and begin colliding into one another. Driving Too Close – Multiple vehicle crashes can also occur even where there are not any types of road hazards present. Simple negligence by disregarding safety procedures can start a chain-reaction. Keep a distance of at least 5 seconds between you and the car in front of you, that way you have plenty of time to respond should they brake suddenly. Approximately 1,875 deaths occurred in the state of Texas due to multiple vehicle crashes. Multiple vehicle crashes accounted for 50 percent of the grand total of deaths caused by a car accident in Texas. The national total of multi-car accident deaths was calculated at over 16,800, which was 45 percent of all car crashes that occurred within the United States that year. If You or Someone You Love Have Been Injured Or Perished in a Multiple Vehicle Accident, The Time To Seek Compensation For Your Recovery is Now. Our founder, Jesse Gonzalez, has vowed to always fight for those who have faced an injustice. If you were involved in a multiple vehicle accident due to someone else’s negligence, the car accident attorneys of J. Gonzalez Injury Attorneys want to set up a free legal consultation to review your case. Get started now by contacting us at any of our McAllen, Brownsville, and Rio Grande City locations today! Image and information sourced from Valley Central<. Request Your Free Case Review Today! How Much Money Should I Ask For In My Car Accident Settlement?